N’Kosi Perry was put under a microscope in 2018. The Ocala, Florida native struggled on the field, but his biggest mistakes came off of it. Perry was suspended for the season opener against Louisiana State University due to a violation of team rules. Then, on Sept. 15, 2018, a sexually explicit video was posted on Perry’s snapchat story. 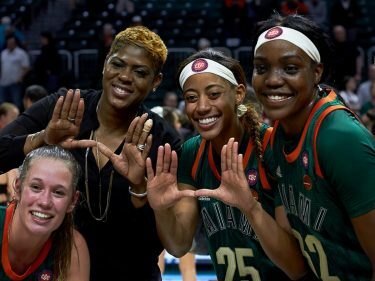 Although Miami never specifically mentioned Perry in a statement, the school acknowledged that officials had spoken with a “student-athlete” about the existence of an “inappropriate” video and said the situation had been addressed. A little more than a month later, Perry posted a video on his Instagram showing him in a car with wads of money on his lap. 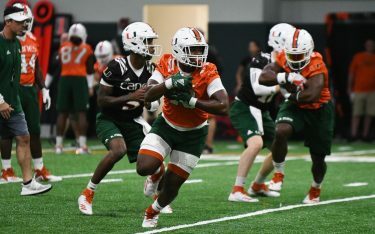 As Miami continues to build during spring practices under first-year head coach Manny Diaz, Perry is focused on growing. Perry—who started six games last season and completed 51 percent of his passes for 1,091 yards with 13 touchdowns and six interceptions—won’t necessarily be handed the starting quarterback job. The 6-foot-4, 195-pound redshirt sophomore will have to fend off Ohio State transfer Tate Martell and redshirt freshman Jarren Williams. The trio of quarterbacks has been put to the test under new offensive coordinator Dan Enos with an offense that features a traditional cadence rather than the infamous clap Miami showcased last season. The quarterback competition is likely to last until fall practices, and Perry continues to improve his play on the field. 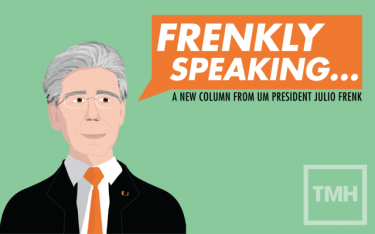 He has worked on becoming a more vocal leader as well. Through spring practices, he has gotten on teammates, including junior wide receiver Mike Harley after a series of dropped passes. Whether Perry is able to retain the starting duties remains to be seen, but regardless, he has his mind fixated on leading the Hurricanes.